Take five minutes today to be quiet, be open – focus on BEing instead of DOing. There’s more to life than checking tasks off our to do list. Inspiring thought, beautiful words! Thank you. I love that quote – thanks for posting it. 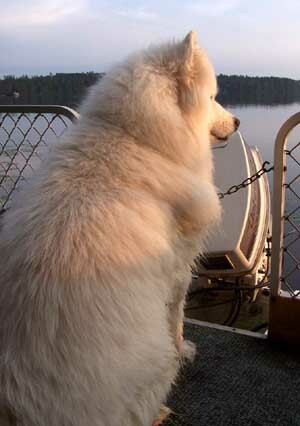 I had a Samoyed many years ago. Nice dog but boy did it shed. I’m learning this and enjoying turning that five minutes into ten. 20 minutes is even better.